The 7 Days Kerala Tour covers the famous tourist destinations, beaches, wildlife sanctuaries and backwater destinations in Kerala. Eravikulam National Park and Periyar National Park are the two national parks that will be visited during the 7 Days Kerala Tour. Besides this, you will also visit Cochin, Munnar, Kumarakom, Alleppey, Kovalam and Trivandrum. Around midnight, arrive at the Cochin (Kochi) airport. Cochin is the most interesting town in South India at Malabar Coast and is also known as Venice of South. Upon arrival, you will be met by an Indo Vacations representative and transferred to the hotel in Cochin. In the morning after having breakfast you have sightseeing tour in Cochin. In Cochin you will visit various places like St. Francis Church, where Vasco Da Gama was first buried, Chinese fishing nets and Mattancherry Palace. After lunch drive to Munnar. Munnar is a beautiful hill resort situated in the cradle of tea plantations. Munnar, the queen of hill stations is located at the confluence of three mountain streams namely, Mudrapuzha, Nallathanni and Kundala, along the western Ghats on the eastern border of Kerala and was once the summer resort of the British government in South India. Sprawling tea plantations, picture-book towns and winding lanes make this a popular resort. In the early morning drive to visit the Eravikulam National Park. 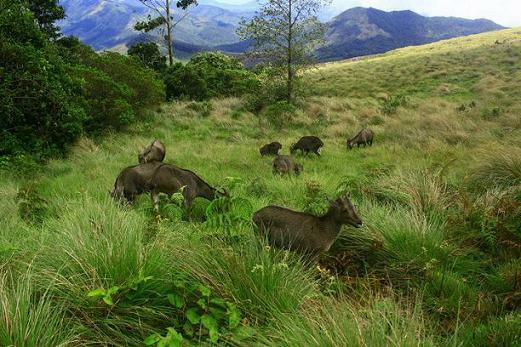 Eravikulam National Park was established in 1975 to protect the Nilgiri Tahr. Neelakurinji, the exotic flora is also found in the forests and grasslands here. The park is breathtakingly beautiful as comparable to the Alpine ranges. Anaimudi peak, the highest mountain peak in South India is situated in the southern region of the park. After lunch drive to Periyar. The Periyar National Park and Tiger Reserve is one of the most captivating wildlife parks in the world and also one of the largest and finest wildlife reserves in India. 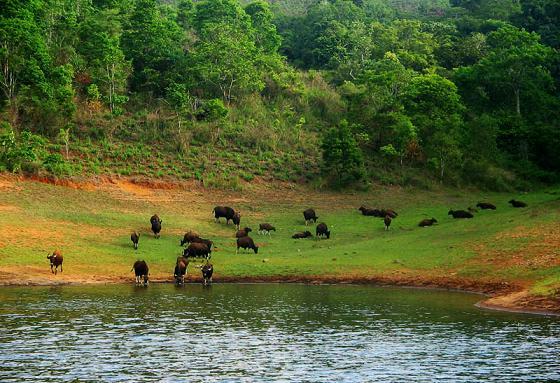 Periyar National Park covers an area of 780 square km and was designated a part of project Tiger in 1973. In the early morning we take a boat ride on the famous Periyar lake which is the central point of the national park and observe the activites of various animals like Elephants, Bison, Wild oxen, Wild boar and Spotted Deer. After lunch drive through lush agricultural areas down the hills to Kumarakom. Kumarakom is the famous backwater tourist destination and most fascinating paradise in Kerala. The backwaters in Kumarakom houses a variety of fauna, flora and marine life. Kumarakom is also a home of the Kumarakom Bird Sanctuary. In the evening we take a boat ride to view the birds. Overnight stay in Kumarakom. The morning is free to explore the scenery and natural surroundings in Kumarakom. In the afternoon your houseboat will pick you up from the resort and you will embark on a remarkable journey through the coconut palmed canals. 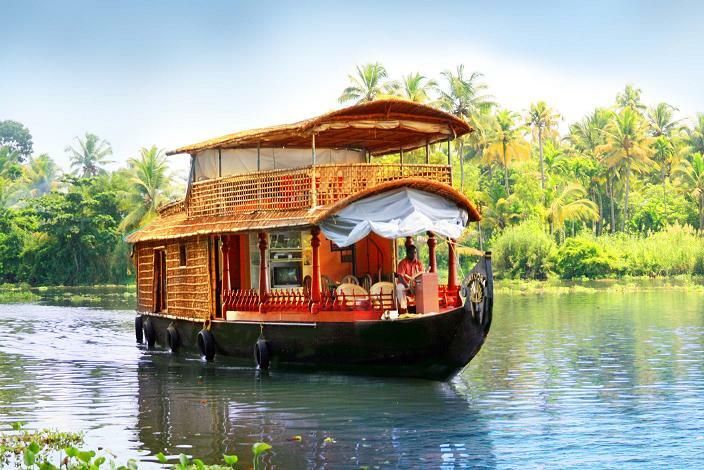 In the houseboat, the crew will take care of your every need, cook for you delicious Kerala food and show you the places of interest on route. In the morning you will reach Alleppey. After breakfast you leave the houseboat and drive to the famous Kovalam Beach. The Kovalam beach is located about 16 kms. from the city of Trivandrum. This internationally renowned beach resort has been a favourite place of tourists since 1930. Kovalam consists of three adjacent crescent beaches. The southernmost beach is known as the Lighthouse Beach and is the most popular beach. Enjoy your whole day at this beach. In the evening transfer to the Trivandrum airport for your onwards journey or flight to home destination. Safari in Eravikulam National Park. All Transfers and Sightseeing throughout the tour by an air-conditioned Car with driver. 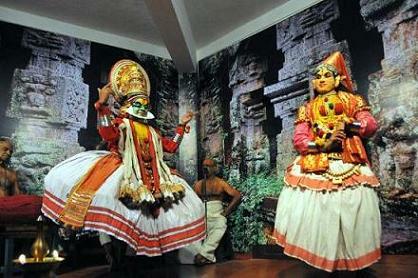 Visit Kerala Tours for more Tours & information on Kerala !